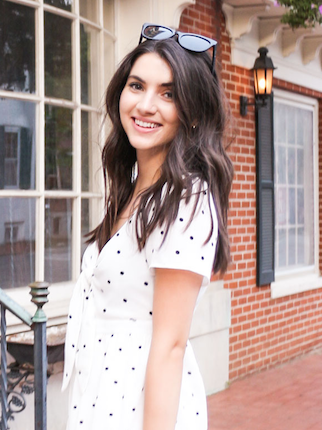 If you're an avid blog reader then you probably have heard of POPSUGAR! 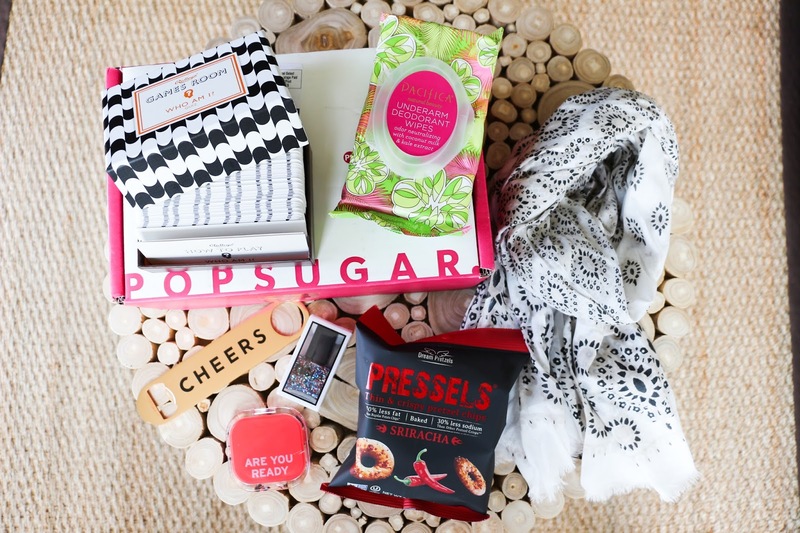 POPSUGAR Inc. is the parent brand to Shopstyle (the digital shopping platform), POPSUGAR (an online publication), and also PS Must Haves (a monthly subscription box). I'll head to their site for anything from fashion news, workout ideas, celeb news, and even recipes! I had the opportunity to receive the June Must Have box and am obsessed with everything that came inside! According to their website everything in the boxes are hand selected, tested, and trusted by their team. And the purpose of the brand is discovering and sharing the newest and most innovative products each month. I have always been hesitant to try some subscription services, especially beauty ones, because there a good chance I'm not going to love every product that comes in it - especially when you have no say in the selection. But, the PS Must Have box had such a great mix of beauty/lifestyle/food items and I can honestly say I've used each product at least once already. Under Arm Wipes - Remind me to repurchase these ok? I seriously love them even though I thought the concept was a bit silly! It's a wipes for your underarms but seriously keeps you feeling fresh. I've been keeping them in my bag just in case I ever need them! Printed Scarf - I love the neutral print on the scars because its the perfect summer accessory! Its super light and airy and works with so many outfits. 'Cheers' Bottle Opener - This is going to be so cute on the bar cart in my apartment one day! But for now I guess I'll let my parents use it for when they entertain! ncLA Nail Polish - Did someone say July 4th? This color just screams patriotic and I can't wait to wear it fro the fourth! Pressels - Although I wasn't the biggest fan of the Sriracha, I would try these again in another flavor! They're a healthier alternative to other snacks! Knock Knock Mirror - How cute is this compact? It says "Are you ready for your close up?" Love! I already wore the scarf - so lightweight and the perfect way to add some detail to a simple outfit. This subscription service seems AMAZING! Love love love.